Paul G. Jenkins’ days in the Air Force would later inform the principles and personality of Jenkins Custom Homes. After serving for 26 years, Paul retired in 1990 as Chief Master Sergeant. Two years later, he started Jenkins Construction in Austin. From the very beginning, honesty, integrity, and an unwavering commitment to craftsmanship were central not just to his business as a whole, but to every interaction with his clients. Paul’s business was thriving, but as the years went on, he longed to be closer to his grandchildren. To initiate his transition out of Jenkins Construction, he would later suggest that his son, Shan, come work with him. Being a retired military man, Paul wouldn’t just “give” his son a job; he’d have to earn it. Paul would teach his son the trade, lending him the physical and conceptual tools for his own success. Before the torch was passed, Shan had his own well-established career in commercial construction. Highly sought after for his skills, Shan met several times with John Zachry, one of the biggest names in Texas construction. Shan’s first job out of college was for Hensel Phelps, Inc., where he helped build what would later become Mopac. Over the years, he worked on countless multimillion-dollar projects for H.B. Zachry Co. and Brown & Root Engineering & Construction. Shan’s education began at Texas A&M in the College of Architecture’s Environmental Design program. His junior year, he changed his major from Environmental Design to Construction Science, as he loved the science and engineering behind the design. It was at A&M where he met his wife, Bethany, a business student and the daughter of a Texas farmer and entrepreneur. After college, Shan and Bethany worked in Houston for almost 10 years. It was during this time that they both earned their MBAs to prepare for the rigors of entrepreneurship. Later, in 1996, they made a move to Alabama to follow work and start a family. In 1998, Paul invited the two of them back to Texas to learn his trade and continue the family business. With a chance to return back to their Texas roots, they didn’t hesitate. The transition of Jenkins Construction to Jenkins Custom Homes couldn’t have come at a better time: the housing market in Austin and the Hill Country was accelerating when Paul eventually turned over his company to Shan and Bethany. Houses were being sold in the framing stage and cost seemed to be spiraling out of control. Still, that didn’t make navigating the complex, nuanced market—or getting local architects to give Jenkins Custom Homes a chance—easy. After three determined months, Shan landed an incredible job that made it all worth the wait and work. The project was a whole house remodel and third floor addition to a home that was originally designed by Alan Taniguchi, the former Dean of UT’s School of Architecture and former Director of Rice University’s School of Architecture. The highly sophisticated and challenging remodel was designed by Alan’s son, Evan. To this day, Shan considers the Taniguchi project one he feels privileged to have been part of—and a major catalyst for building the Jenkins name in Austin and the Hill Country. In addition to meaningful hands-on experience, it was Shan’s Building Science education and Bethany’s business expertise that helped them find a place for themselves in the competitive landscape. They recognized the need for better value in the high-end market; the existing high-end homes weren’t designed with purpose, weren’t built to last, and weren’t being offered at a reasonable price. Even the parade homes had significant issues that the general public wouldn’t know to look for. Shan and Bethany were astounded that clients were accepting these homes and disheartened that building companies were letting them. They realized the market for truly well-built, generously-designed homes was hot. It was just a matter of educating buyers on what architecturally and structurally-excellent homes looked like. That’s how the design element of Jenkins was born. Shan and Bethany set out to look for buyers not just seeking low bids and cookie-cutter “luxury” homes, but those those with a vision years in the making and the creative energy to execute it. Still, earning the trust of buyers wasn’t easy: most were accustomed to bait-and-switch tactics, strained builder-client relationships, and a vague and messy sense of process. They were used to “custom homes” that were hardly custom at all. Along with continuing to uphold Paul’s reputation for transparent and responsive builder-client relationships, Jenkins Custom Homes–at that point as designers in addition to builders–was devoted to a collaborative and streamlined homebuilding process. 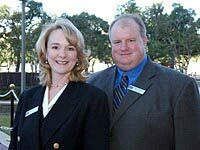 In 2003, Jenkins Custom Homes hired their first team members, and business grew steadily until the recession in 2008. Despite the slowing market and the advice of industry peers, Shan and Bethany refused to sacrifice their team to a jobless market. When the recession was over, Jenkins Custom Homes was left with a strong, loyal team–the best in the industry. Today, the Jenkins Custom Homes team frequently thinks about the unique honor they have had from the very beginning of designing and building homes families will live in for decades to come. With a commitment to community and philanthropy, Jenkins Custom Homes has sponsored benefits for the Lance Armstrong Foundation, Make-A-Wish Foundation, and Lifeworks. Recently, the team took several months of weekends to build two homes for Mobile Loaves and Fishes to provide homes for the homeless. "They have been wonderful to work with! We would recommend them to any of our friends."